Dry mateable subsea connectors with metal shell (M series, TP series and U series) suitable for permanent immersion down to 10,000 meters. Extensive range with various shell sizes and various contact layouts including: signal, coax, high power and fiber optics. Challenges relating to the marine environment are numerous as equipment goes deeper and remains in the water for longer periods of time. 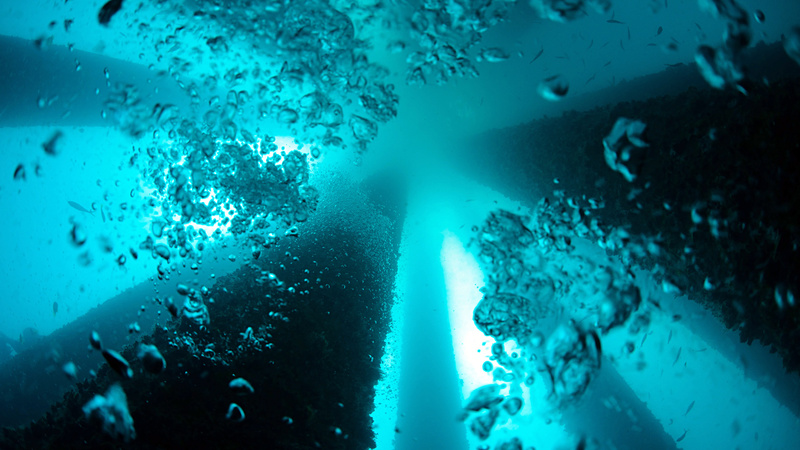 In such extreme conditions, underwater connectors have to withstand higher and higher pressure, product life cycles need to be increased and product maintenance operations simplified. SOURIAU - SUNBANK Connection Technologies has more than 40 years of experience in supplying robust and high-reliability marine connectors for low and high pressure environments. Our M series connectors are widely recognized as one of the most robust underwater dry mate connectors. Backshells and underwater connectors bodies are made from a single marine bronze piece to ensure an extreme resistance to pull-out or transverse forces. Different types of cable termination are available to perfectly fit your cabling needs including: overmolding (withstands pressure up to 300 bar/4350 Psi), pressure gland (withstands pressure up to 100 bar/1500 Psi) or oil filling (PBOF- withstands pressure up to 1000 bar/15000 Psi). Derived from the M series, TP connectors (nickel plated brass shell) offer a trade off between high reliability and cost efficiency while the U series feature 316L stainless steel components. The 8810 series offer a premium wet mateable design withstanding pressure reaching 300 bar/4350 Psi (tested at 450 bar/6500 Psi). This is achieved by increasing creepage distances between the contacts and an innovative double lip sealing system that literally expresses water out of the connection area. No water or moisture means less corrosion of the contacts and longer connector service life when compared to other solutions. This series is available with marine bronze or titanium shells (upon request) and EPDM® insulators. Marine renewable energies: tidal and wave turbines, offshore wind turbines, ocean thermal energy.